Dan Popp fatally shot Phia Vue, Mai Vue and Jesus Manso-Perez in their Milwaukee apartment building. In Milwaukee, the accused killer who fatally shot a Puerto Rican father and a Hmong couple, in a triple homicide that many are calling a hate crime, has been ruled incompetent to stand trial. The criminal complaint against Dan J. Popp, who is white, alleges that he made racial comments before fatally shooting a Hmong couple, Phia Vue and Mai K. Vue, and a Puerto Rican man, Jesus R. Manso-Perez, in their apartment complex in southwest Milwaukee last month. Witnesses say Popp, 39, questioned Manso-Perez and his son about their ethnic background after hearing them speak Spanish and said "you guys got to go" before the shooting. Popp then stormed into the apartment of Phia and Mai Vue. He fatally shot them after pulling them out of a bedroom in front of their four children and another relative, according to the criminal complaint. Popp was charged with three counts of first-degree intentional homicide in the fatal shootings and one count of first-degree attempted homicide for shooting at, but not hitting, Manso-Perez's son. A coalition of community members has been calling on authorities to investigate the killings as hate crimes. But on Wednesday, Milwaukee County Circuit Judge J.D. 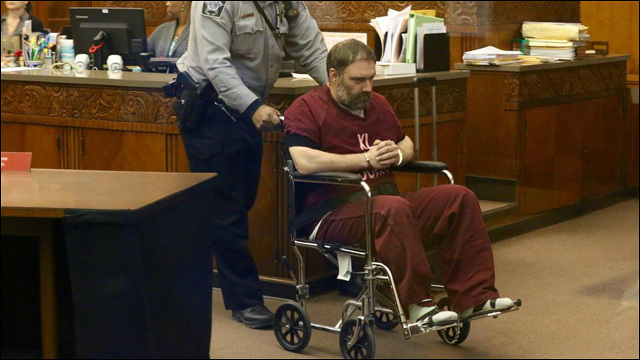 Watts ruled that Popp was incompetent to proceed after receiving a court-ordered mental health report saying he did not have the ability to understand the charges and aid in his defense. The judge ordered Popp committed to a state mental health facility for up to one year. Popp will be periodically reviewed to determine whether treatment has made him competent for trial. His first review hearing is scheduled for July 14. After the hearing, the victims' families renewed their calls for the case to be investigated as a hate crime. "From the beginning of this case people were rushing to say, 'Oh, this was a mental illness issue,'" said Darryl Morin of the League of United Latin American Citizens, speaking on behalf of the Manso-Perez family. "Every expert we've spoken to on the issue of hate crimes has said there's always been some degree of mental illness involved." 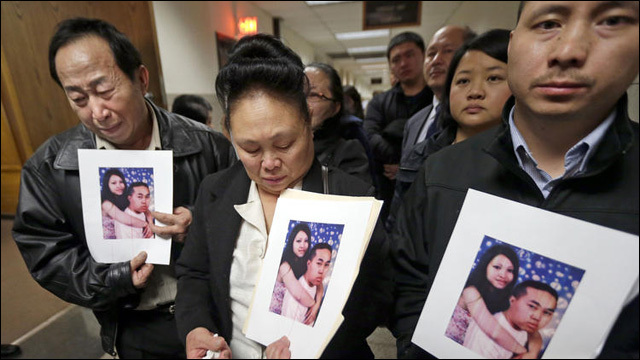 "We will fight for justice that the victims deserve," Mai Vue's brother, Tou Xiong, told reporters. "Lives were taken because of Dan J. Popp's hatred for those who are different from him."